Our USA WHEAT is of the finest in the World. The United States is one of the top world producers of Wheat with the most stringent & technological inspection process used today. Not only are we the most sought after country to do business with, but we are also the most secure. Dealing with genuine US Companies and Producers, guarantees your satisfaction for years to come. The possibility of finding a wheat seller is far and few in between. Our Direct Seller is not only a USDA Certified/Registered Exporter , but a seller with the ability to offer the best pricing in this industry, as well as the ability to close deals for us and our clients. (From USEPA Website) Wheat: Over 240,000 farms in the United States produce wheat. 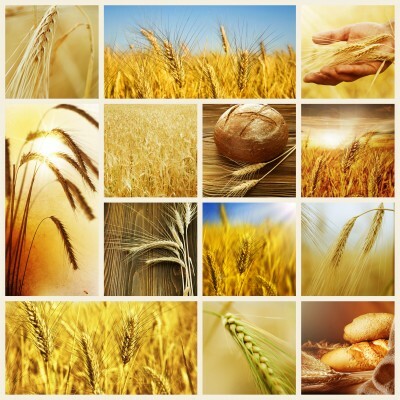 The U.S. produces about 13% of the world?s wheat and supplies about 25% of the world?s wheat export market. About two-thirds of total U.S. wheat production comes from the Great Plains (from Texas to Montana). Wheat is classified by time of year planted, hardness, and color (e.g. Hard Red Winter (HRW)). The characteristics of each class of wheat affect milling and baking when used in food products. Of the wheat consumed in the United States, over 70% is used for food products, about 22% is used for animal feed and residuals, and the remainder is used for seed. Payment Instrument SBLC (1-Month for 356 Day + 1 Day) - Payments due within (5) days after vessel departure. To get an estimated CIF market pricing, you must add an add'l $100 to the FOB market pricing. WHEAT SPECIFICATIONS! Specifications of our US Wheat!